Editors's note: This the fourth in a week-long series WKSU is doing on the integration of Bhutanese-Nepali refugees, who began their migration to Akron a decade ago. This story also is part of a collaboration with the Huffington Post. Ohio has one of the highest infant mortality rates in the country, and the effort to get more babies to their first birthday is focusing increasingly on a kind of support-group model for pregnancy. Most of the groups are formed around common due dates of the expectant moms. As part of our collaboration this week with the Huffington Post, WKSU’s M.L. Schultze explored one of the groups formed around a different experience, that of being Bhutanese refugees. Sandchu Rai's first son was born in one of the camps in Nepal set up after the refugees were expelled from Bhutan. The other two are American born. 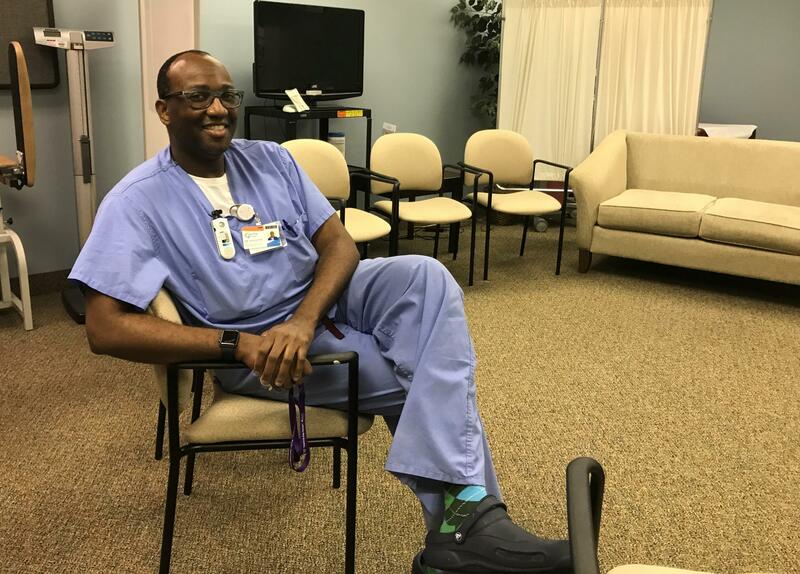 Nine pregnant women get together on Friday mornings on Summa Health Systems’ Akron campus – in what looks more like a living room than a medical office. It’s time for blood pressure, urine and belly checks; time to compare swollen ankles, back pain and sales on diaper bags. But nine times, the chatter grows hushed. The women stop to listen to the fetal monitor detecting a heartbeat coming from the examination table behind a screen. Ohio's infant mortality rate last year was 7.1 deaths of children before their first birthday for every 1,000 live births. Centering-pregnancy is one effort to fight premature births. Unlike other centering-pregnancy groups, this one is not formed around due dates. It’s formed around language. So, for example, Sanchu Rai shares the lessons learned from three pregnancies with a shy newcomer who is in the early stages of her first. Rai had her first son in the camps in Nepal where she and about a hundred thousand other Bhutanese refugees lived for two decades. Her second boy was born here, as his baby brother will be. 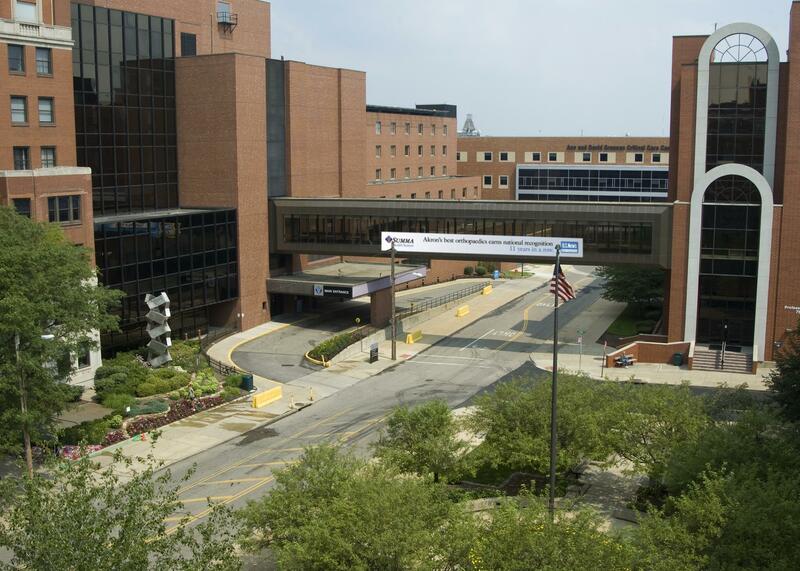 That means two-hour group visits with physicians, nurses, case managers and social workers. The first hour is all about the physical, "doing the traditional medical examination, where we measure the belly, listen to the baby's heartbeat and get vitals. Things everyone’s familiar with. Summa's Dr. Dante Roulette says this group differs from other centered pregnancy efforts because the woman are at all stages of pregnancy. The group has grown to as many as 19. Michelle Kusic is the nurse practitioner who works with the group. Beyond the medical appointments, the Friday gatherings include education. There could be a lactation consultant one week, a hospital tour another. She says in many ways, the Nepali women are made for centering pregnancy. Kusic works behind the screen with each woman. But she's not alone. Her questions are all asked and answered through Laxmi Dhimal Dhakal. She moved from Nepal to Atlanta in 2008, and, like thousands of other Bhutanese refugees, migrated to Akron four years later. As a medical assistant and translator, she’s the bridge between the Summa staff and the women. She says camaraderie is key for this group. 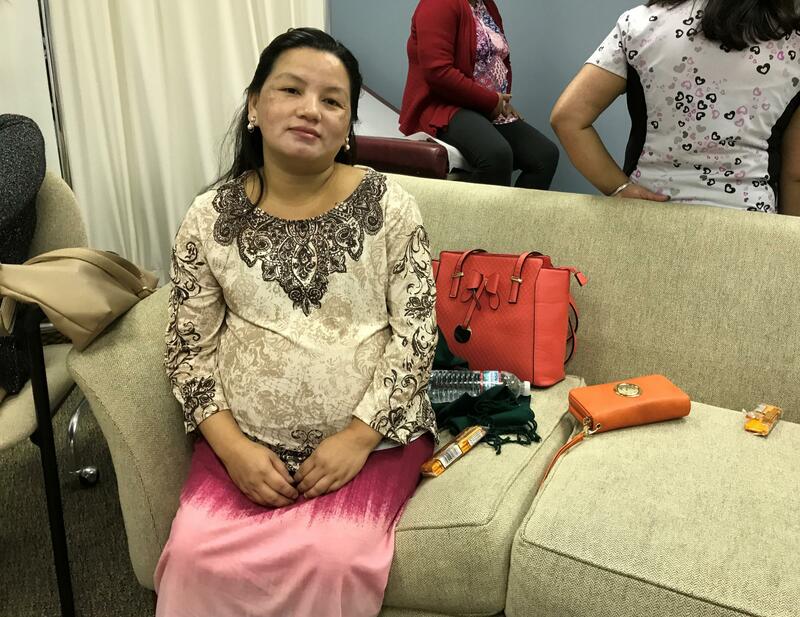 Dhakal notes that healthcare was limited in the camps, so many of the newcomers are more used to sharing questions about their pregnancies with each other than with doctors. So she says the centering group combines the best elements of each. Dr. Roulette says some in the groups initially had a mistrust, especially when it came to talking about related issues such as intrauterine devices and other birth control. He said IUDS were almost a cultural taboo. He says it was a moment for the caregivers here to understand real fears and to discuss ethical and moral parameters in U.S. medicine. Did it help? Roulette notes that studies increasingly link premature birth, infant mortality and health over a lifetime to stress. And, he acknowledges, living decades in refugee camps -- with lives largely on-hold -- is a huge stressor – as is resettling halfway across the world. So he says, the centering-prenancy groups like Summa’s are key to building health, as well as trust, over the long term. In the last of this week-long series, tomorrow, we’ll have the story of the ultimate blending of the two cultures – what’s believed to be Akron's first mixed marriage.